Drawing a cloud, as with many other objects, starts with basic shapes and moves onto more descriptive details--as many or as few as you'd like to play with. 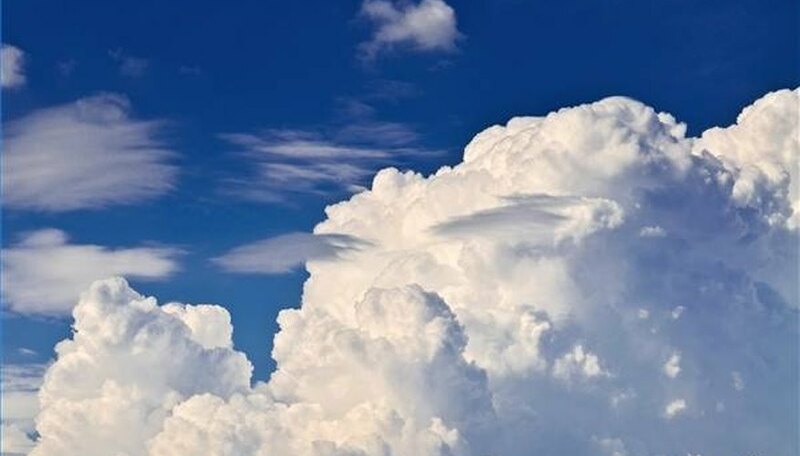 Keep reading and follow along, and you will have a great drawing of a cloud. Start with your basic shape. A cloud is basically an oval. 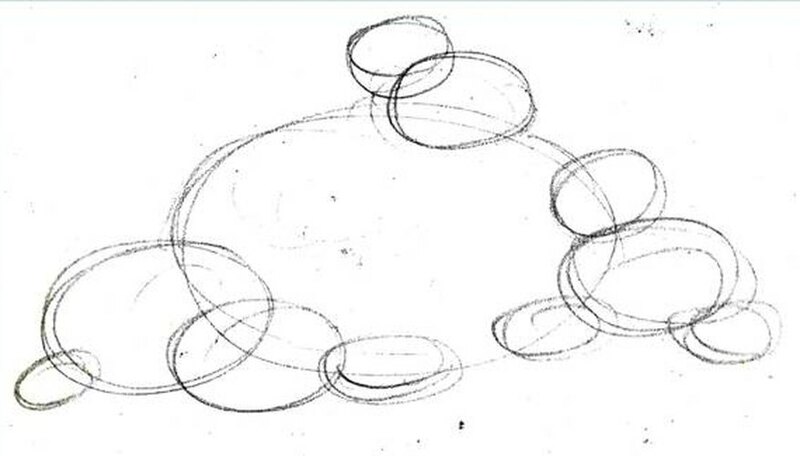 Draw a big oval. 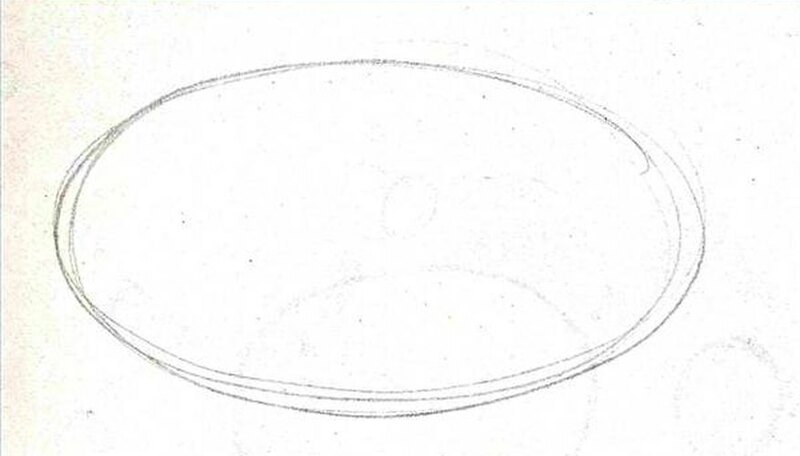 You can make this oval very narrow or big and almost like a circle. Draw additional ovals and shapes to define the shape of your cloud. Add them wherever you'd like to see your cloud get bigger or have more fluff. As in the diagram, you can see how this is giving the cloud its shape. Define your shape. At this point you can get rid of the excess lines. Draw over the shape with a pen and erase the excess pencil lines. To give your cloud more depth, let some of the lines overlap, and add a little cloud edge in the middle. 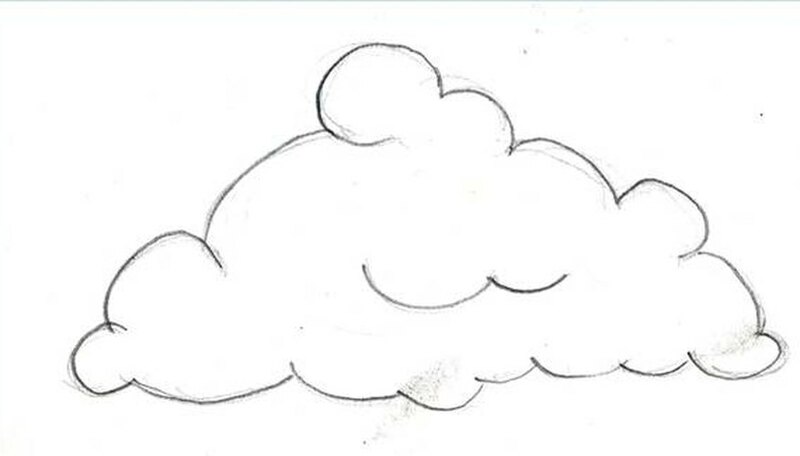 Now you can draw different kinds of clouds. A great idea is to go outside when there are great fluffy clouds and study the shapes they make. Take your sketchbook and sketch a few. Have fun with it. The more whimsical the cloud, the better.